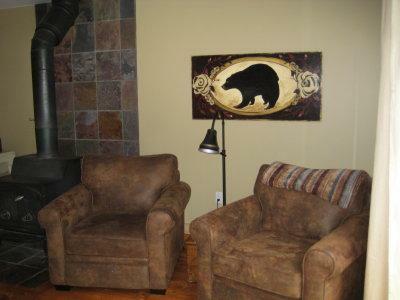 Welcome to Creekside Olympic Cabin, located at ground zero for the Alpine Skiing events for the 2010 Olympics, and just minutes from all the other events to be held in Whistler and the Callahan Valley in February 2010! 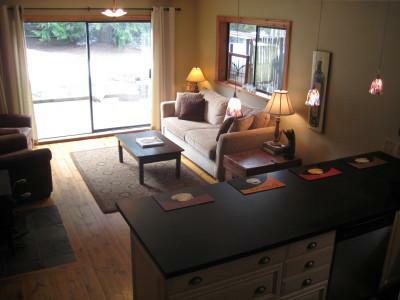 This 3 bedroom, 2 bathroom cabin at Creekside will be the perfect spot for you. 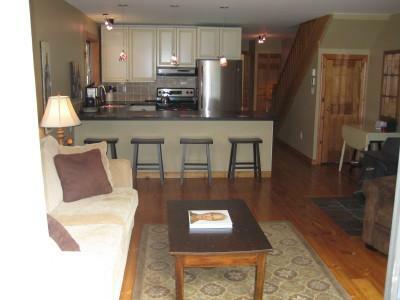 It has been newly renovated and furnished from top to bottom. The beauty of a Creekside location is that we have everything you need just a few minute walk away groceries, liquor store, restaurants etc, and yet it is in a quiet setting so you won't be woken up in the middle of the night by party-goers! 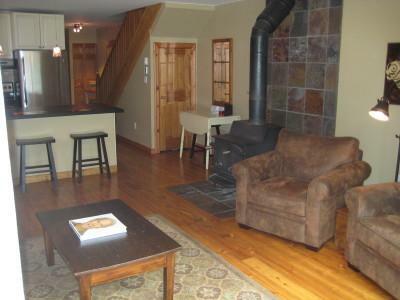 This 1400 square foot cabin is spacious and has a warm, welcoming feel, with heated slate tile floors in the kitchen and bathroom, beautiful old pine floors in the main living area, and luxurious carpet in the bedrooms. 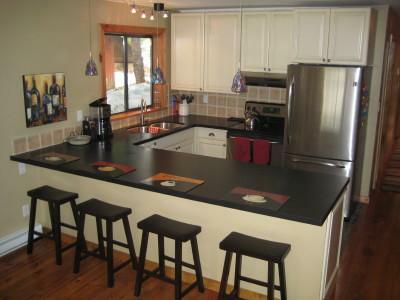 The kitchen boasts stainless steel appliances and a large Silestone countertop. 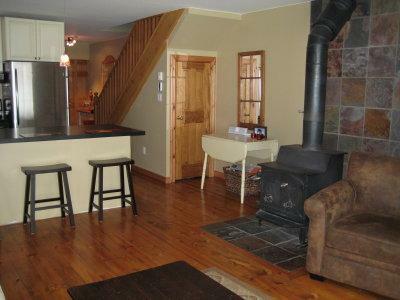 In the living room, you'll find brand new couches and chairs coupled with pine antiques and a pot bellied stove-type fire-place to warm you up. It opens onto a large ground-level fenced yard that includes a great play area perfect for the kids. The ground floor also has the large second bathroom, plus a large mudroom and additional storage room for your skis in the winter and bikes in summer. 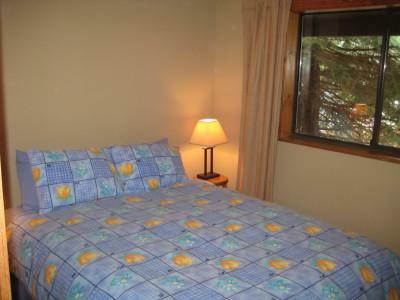 Upstairs you will find 3 large bedrooms, each with brand new beds. 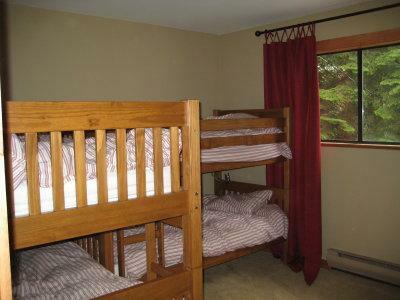 One has a king, one has a queen, and the third has 2 sets of bunk beds perfect for kids. 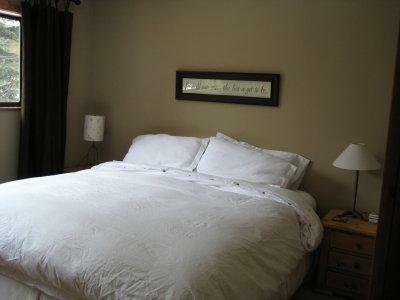 Each bedroom is outfitted with duvets and an abundance of pillows. 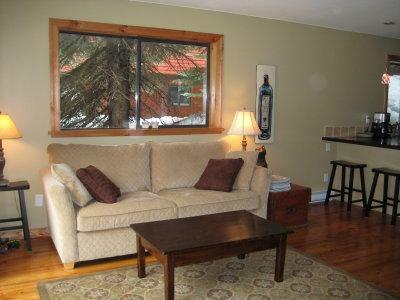 Creekside Olympic Cabin is within walking distance to the Creekside Gondola and village which includes a grocery store, liquor store restaurants and shops, a mere 5 minutes from the front door. The extensive valley trail connects just across from our front door, and will take you to 3 nearby lakes and beaches, and the brand new, gorgeous Nita Lake Lodge, perfect for an aprs ski cocktail or hot coffee, followed by dinner. 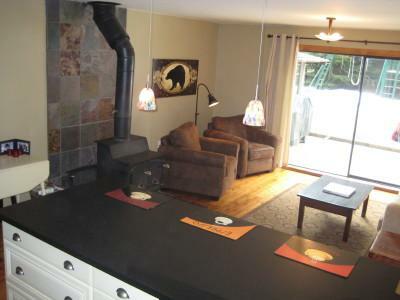 From World class skiing and snowboarding in winter, to world class mountain biking, hiking and golfing in summer, the Creekside Olympic Cabin is the perfect place for your holiday.